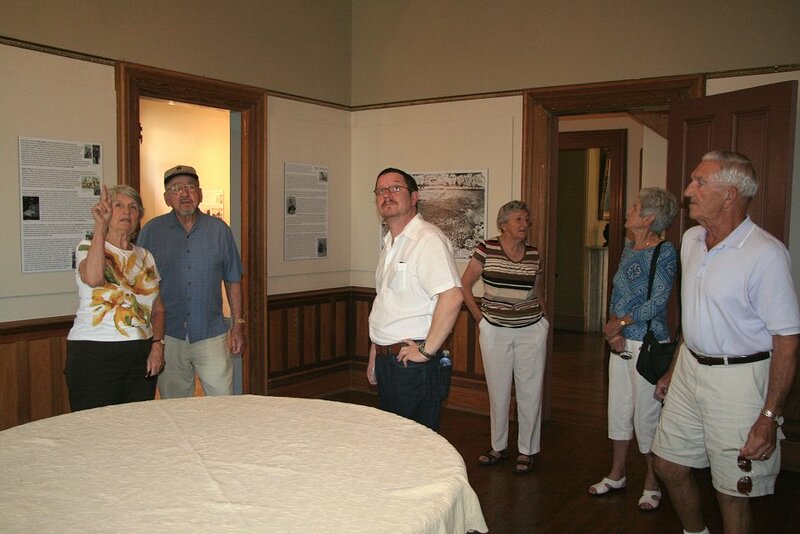 Our fourth tour was at the Heritage Square Museum, about three miles north of down- town Los Angeles at 3800 Homer Street. 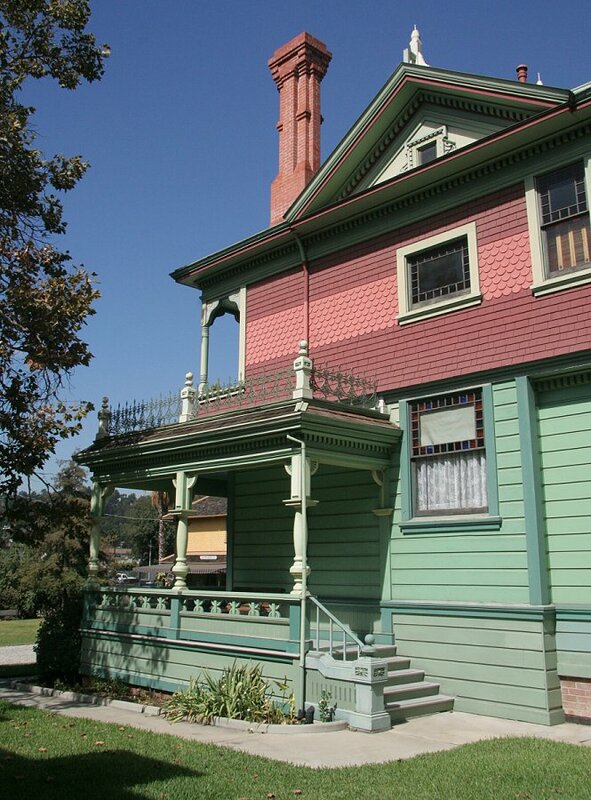 The museum is a gravel street along which eight historic Victorian Era structures have been placed. The buildings were saved from the wrecking ball over a period of years and arranged on the site as they would be in a neighborhood of the time, from the Civil War to the early 20th century. 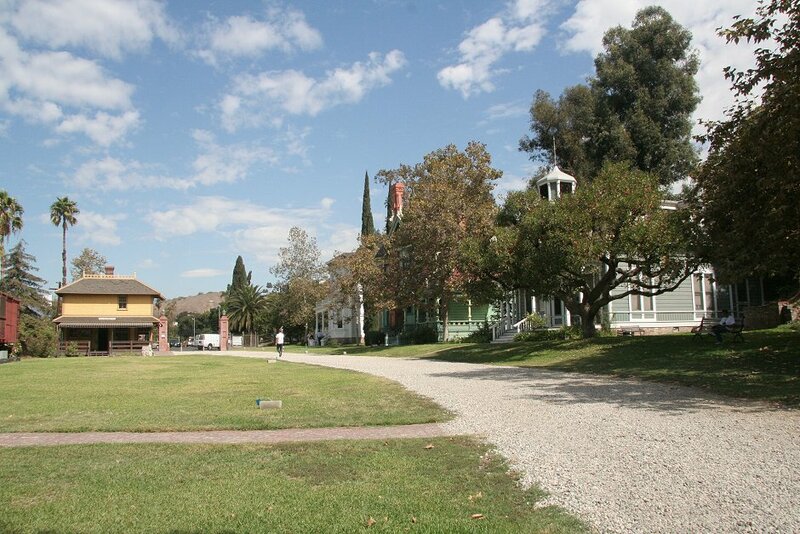 Living history of the development of the Los Angeles region, including the San Fernando Valley, is told by the buildings (furnished with period pieces), text and photo display boards, and tour guides who take you through several buildings. The museum is open Fridays, Saturdays, Sundays, and most holiday Mondays from 12 to 5 p.m. (this may vary from October to March). Guided tours depart frequently. Admission is $10 for adults, $8 for seniors, and $5 for children from 6 to 12 years of age. Children under 6 are free when accompanied by an adult. 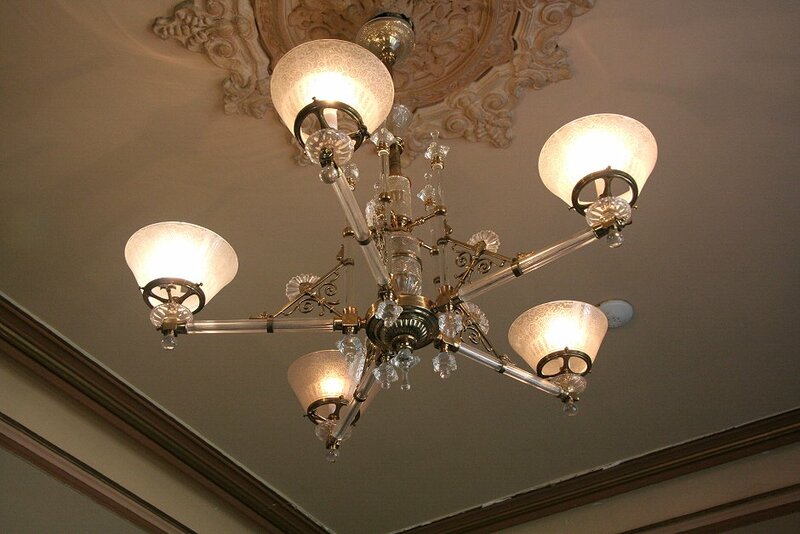 Call 323-225-2700 for the latest information. 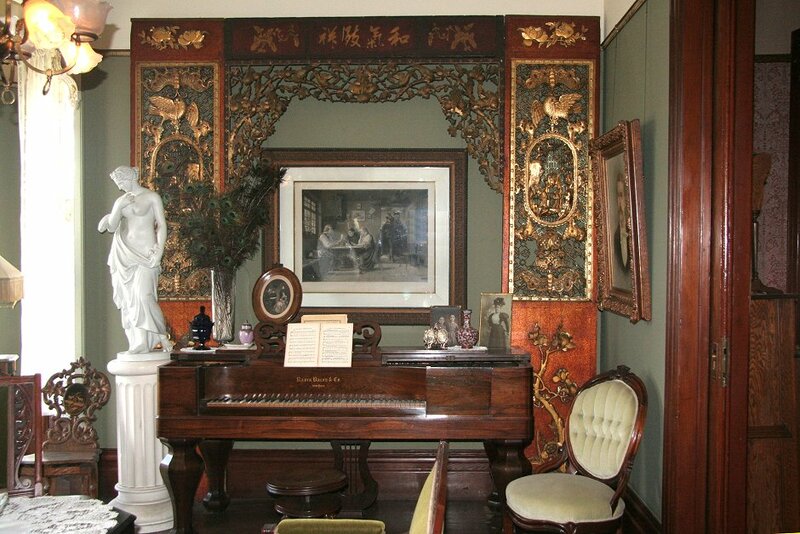 The pictures here and on page 2 follow the tour route clockwise from house to house, just as in the Heritage Square website found with the link above. 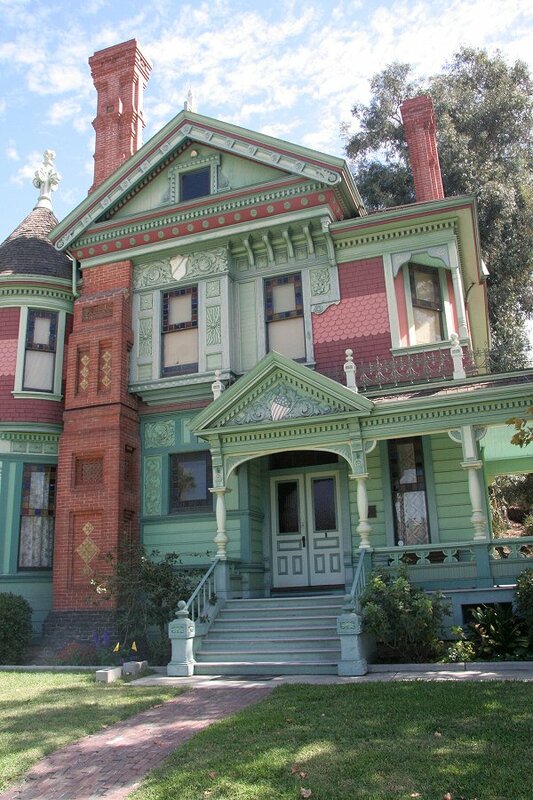 If you have the area on your computer screen, open this site and view it side by side with these photos to read the interesting history of each house in their "Online Tour". 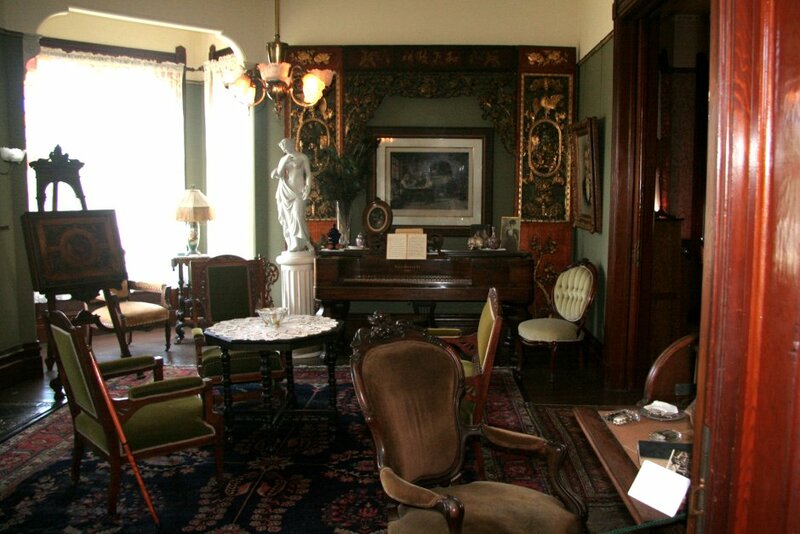 If not, then flip back and forth between these pages and those of the on the Heritage House tour. Victorian Era houses line the street. 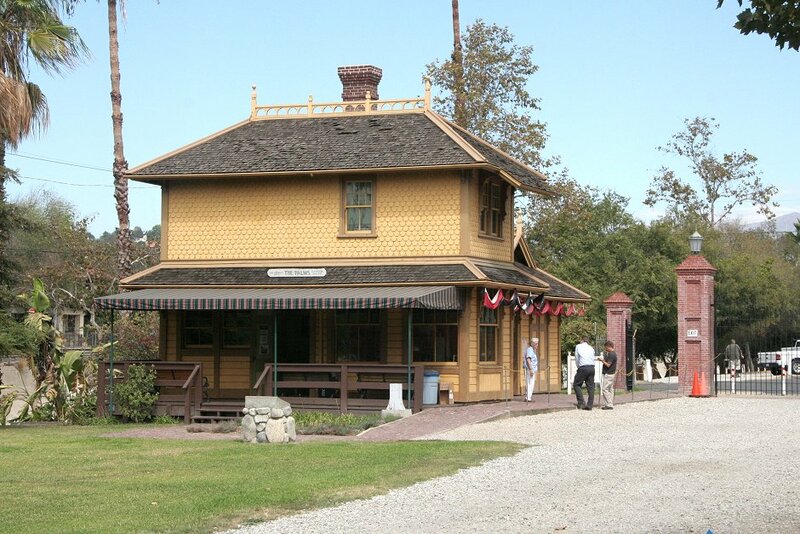 The entrance to Heritage House Museum is at the Palms Depot on the left. Closer view of Palms Depot and the entrance to the museum. This building serves as museum headquarters. 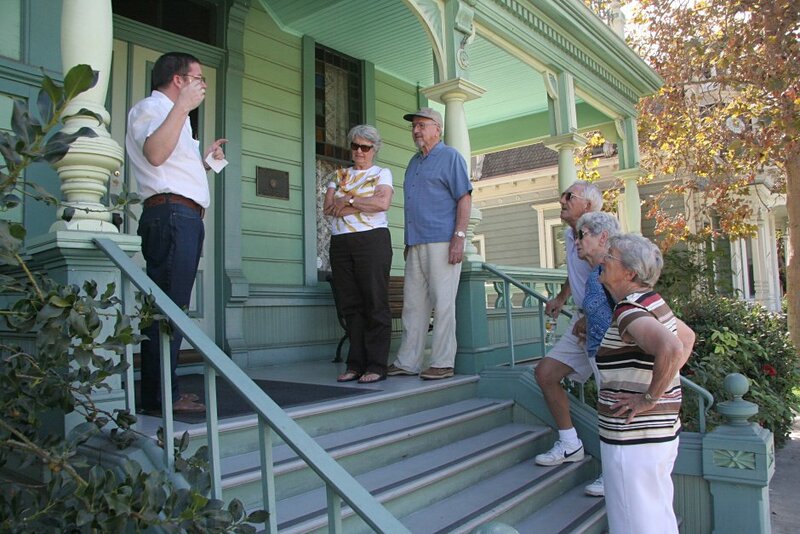 First on the tour is the Perry House, directly across the street from Palms Depot. 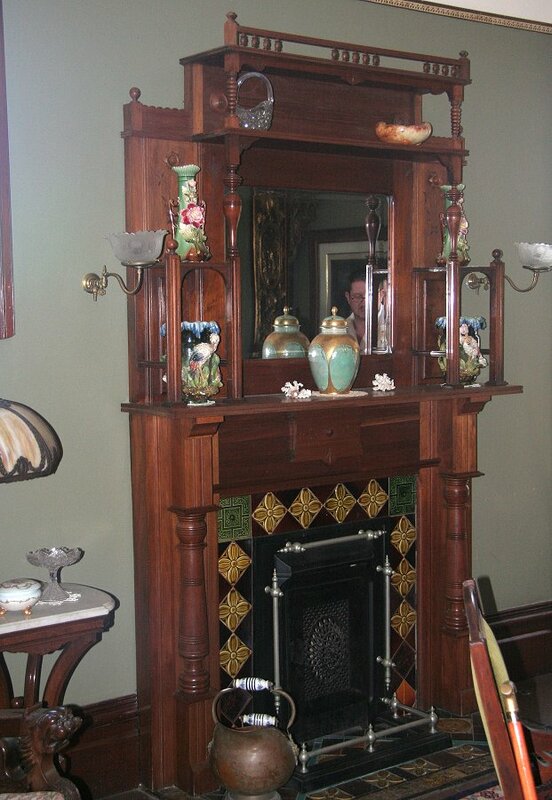 Marble fireplace mantles throughout. 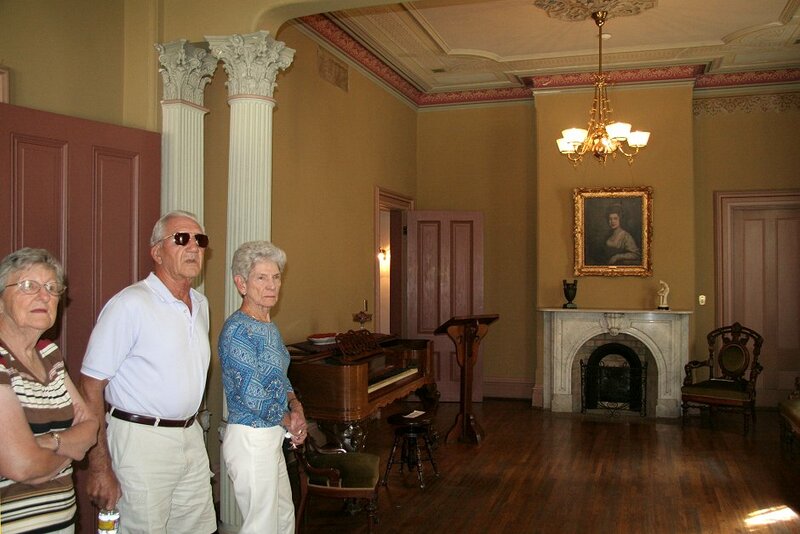 Built in 1876 by lumber baron William Hayes Perry; second largest house in the museum. Text-photo displays in this room describe contributions of people who pioneered development of the Los Angeles region. PDF document which has all the text and representative photos. The stories are interesting. 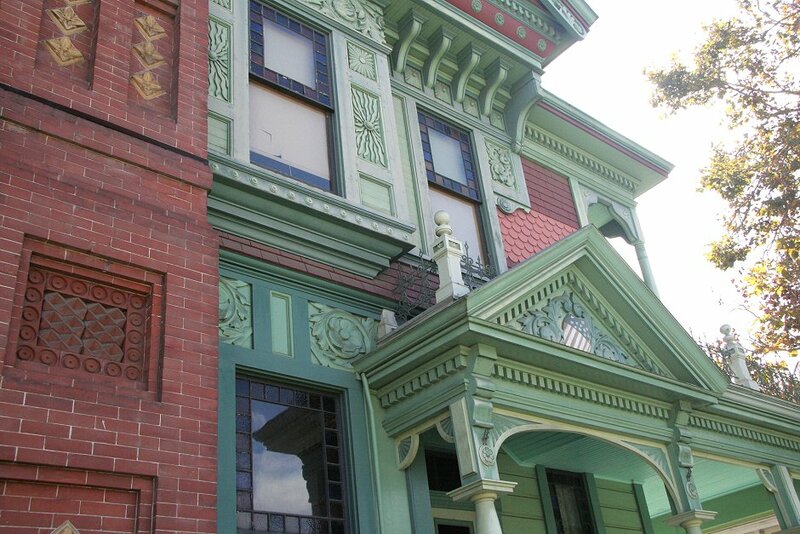 Elaborate architecture of the Hale House exterior. 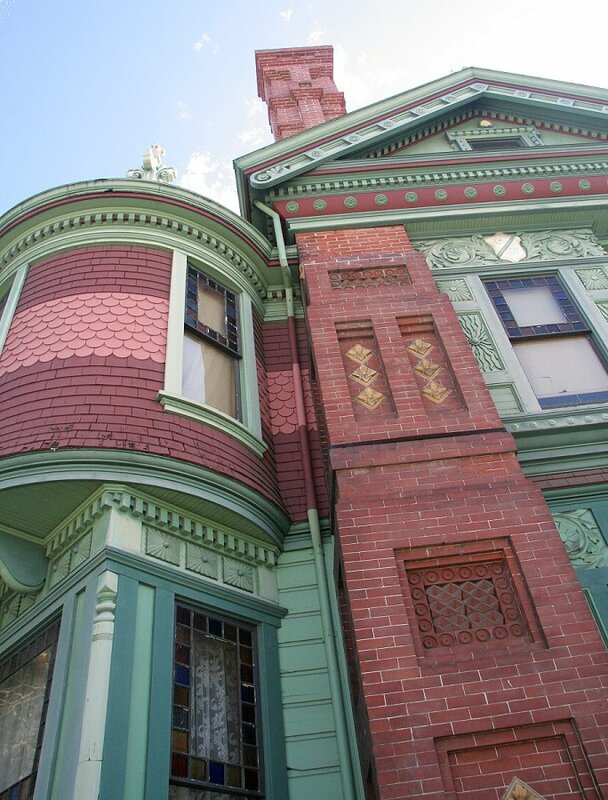 Built in 1887 just a few blocks from the museum, purchased by Hale in 1906. 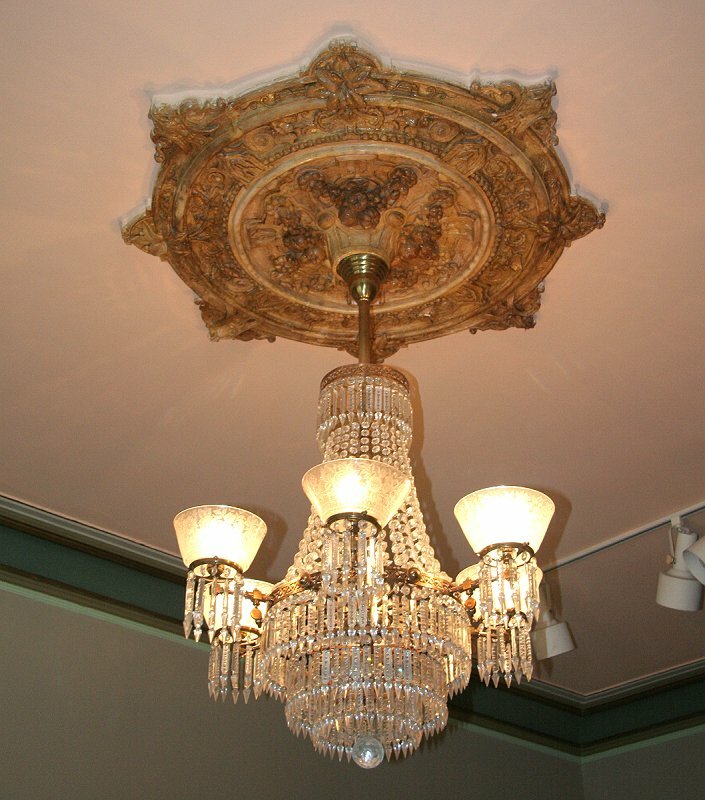 Colors here were reproduced from chips found on the house during restoration. Victorian fire place. 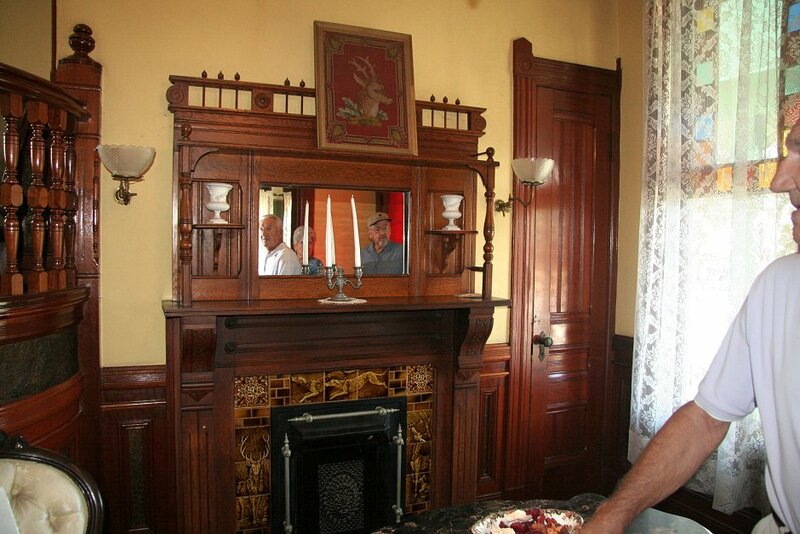 Interior restored to represent rooms as they may have appeared in 1899. 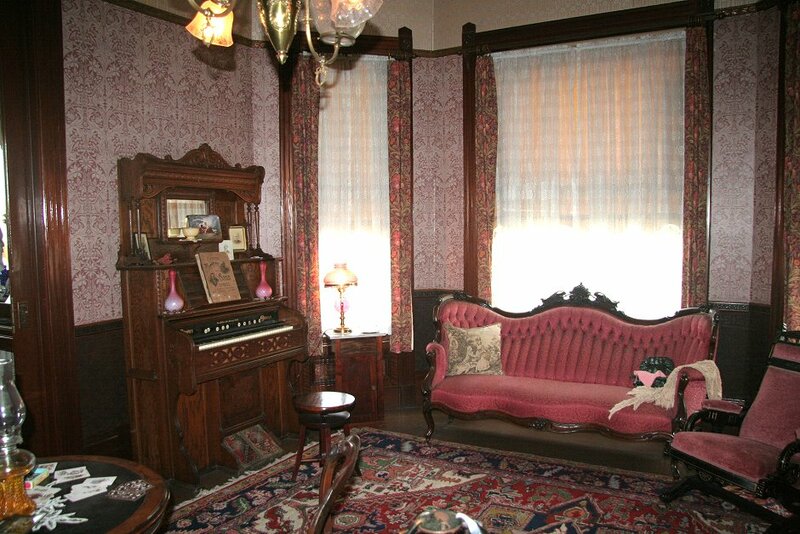 Parlor pump organ and more period furnishings.